Drs. 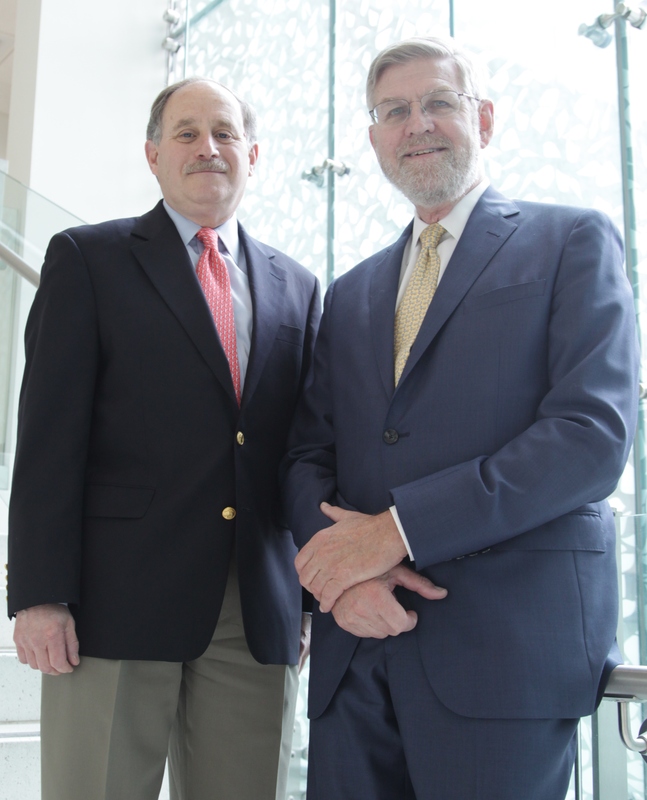 Frederick Schoen and Kirby Vosburgh of the BWH Biomedical Research Institute Technology Innovation Program reflect on the culture of innovation at BWH. Although innovation can spring from spontaneity and out-of-the-box methods, the approach for its growth and development at BWH is one of organization and support. Frederick Schoen, MD, PhD, is the director of the BWH Biomedical Research Institute (BRI) Technology Innovation Program, which fosters the development of cost-effective technologies to solve problems in patient care. Schoen is also involved in the Center for Integration of Medicine & Innovative Technology (CIMIT), along with Kirby Vosburgh, PhD. CIMIT is an organization of Boston teaching hospitals and universities collaborating on innovative research to improve patient care. BWH Clinical & Research News sat down with Schoen and Vosburgh to get their views on breeding a culture of innovation at BWH. What are the benefits of practicing innovation in a hospital setting? Schoen: I look at the benefits of innovation beyond the technical aspects of care. Active innovation attracts and retains more talented faculty and staff. Practicing innovation also makes the hospital a much more intellectual, vibrant and forward-moving place for people to work. Innovation means doing more with less, which, given the current economic climate, is mandatory. Vosburgh: Anyone can do innovation at any level. Innovators are not always the ones with the titles on the door. Sometimes they are the people just looking at how things are currently done and seeing how to improve them. Innovation is a challenging activity; we should use all our personal and professional skills to make it happen. What motivates the BRI Technology and Innovation Program to support innovators at BWH? Vosburgh: We have been very motivated to support innovators because, to some extent, innovating is a countercultural activity. Medical care, traditionally, is conservative—consistent, systematic, standardized. With innovation, all of a sudden a lot of these factors don’t apply. You don’t have evidence-based medicine supporting your approach because what you are doing has never been done before, which is why your idea may be better. Schoen: So one of the things we are trying to do is mentor and support individuals toward an effective and rewarding career path that is centered on traditional goals, but also incorporating innovation. Our program supports these individuals with what I call the three Cs: community, convergence and cultivation. We are building a community of people who are intellectually stimulated by doing innovation that can benefit health care. Convergence means bringing together people from completely different disciplines—engineering, medicine and even business and law to solve important problems. Cultivation is finding, connecting and nurturing people with ideas so they can generate, what could be considered a fourth “C”, cash, to fund their studies. What has been some of the program’s successes to date? Schoen: Our successes over the last several years include launching a monthly Innovation Grand Rounds, stimulating collaboration of BWH’s biomedical engineering group with the clinical community, as well as getting the physical sciences on the radars of a much broader group of physicians. Emphasizing convergence contributes to making innovation part of the lexicon of the clinical community. (L to R) Frederick Schoen, MD, PhD and Kirby Vosburgh, PhD. Schoen: One key goal is enhancing our relationships with industry and Partners Research Ventures & Licensing, in pursuit of that we are working closely with the BRI’s Director of Strategy and Innovation. We would like to develop much more productive academic-industrial partnerships since this is crucial to efficient development and implementation of more drugs and devices and to fund collaborative research. Also, our goal is not to just build new widgets, but to create better processes and systems, impart by utilization of health information technology. Vosburgh: We are also trying to be as successful at innovation as we have been in the past. Brigham and Women’s Hospital has a wonderful history of clear-sightedness and reaching the highest goals. We should support each other to extend this legacy of greatness as individuals, and as a community.